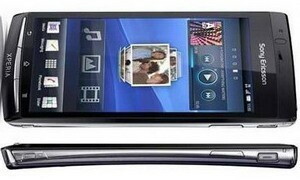 A new report says that Sony Ericsson Xperia Arc is heading to Australia via Optus, Vodafone. The Arc will be released in Australia next month (April), with both Optus and Vodafone getting ready to sell it. If you’re not familiar with the Sony Ericsson's phone you should know that Xperia Arc is an Android 2.3 Gingerbread-powered smartphone boasting a 1GHz Qualcomm CPU, a 4.3 inch FWVGA screen, 8 megapixel autofocus camera with HD (720p) video recording, HSDPA, Wi-Fi, GPS, barcode scanner, and so on. 0 comments on "Sony Ericsson Xperia Arc coming to Australia via Optus, Vodafone"